Background/Info: Operating from San Francisco (USA), the Common Eider, King Eider collective is back on track unleashing a new opus with 4 long-duration cuts. The project claims to be ‘in direct opposition to the Trump Administration. We are against racism, fascism, bigotry, misogyny, and xenophobia. We celebrate diversity. We celebrate and advocate for women’s rights, LGBT rights, houseless people’s rights, environmental protection, and indigenous rights and indigenous land struggles. We celebrate creation through destruction’. Content: This new opus moves on there where the last year released work “Extinction” stopped. 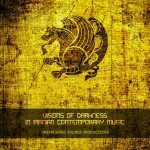 It’s a new exploration of stormy dark & ambient music fields mixed with cinematographic passages. The haunting atmospheres are constantly hanging over the work and have a strong visual appeal. There also is a kind of cello-play (or sound) reinforcing the feeling of isolation this album has been made of. It also has a mystic expression leading the listener into an imaginary rite. 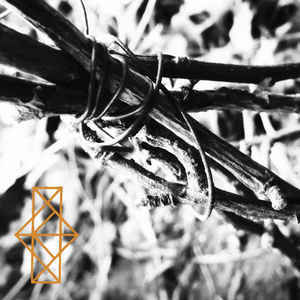 + + + : Common Eider, King Eider accomplished a new overwhelming piece of obscure ambient music. The tracks are meticulously written, leading towards a climax, which comes through on most of the tracks. I like this constant haunting atmosphere, which also has something baleful. It creates this great visual appeal, which is an essential item when listening to good dark-ambient music. It sometimes feels a bit like a secret rite awakening evil spirits. The composition has been composed with an interesting arsenal of dark sounds and field recordings. A few screams of horror reinforce the strong emotional dimension of this work. 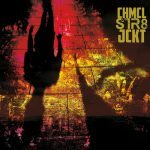 – – – : I especially like the final track featuring Sutekh Hexen and yet I have a problem with the final part. The track is progressively evolving towards a climax of solitude, but then falls down into an endless and less fascinating final passage. I also regret the sober artwork of the album which is in a digipak format. Conclusion: If you like dark-ambient sensation mixed with cinematographic passages you’re definitely going to like this new album from Common Eider, King Eider. It’s an overwhelming production, which moves crescendo towards a sonic cataclysm. Best songs: “Litha feat. Sutekh Hexen”.